When Father Roger Nesbitt celebrated the 40th anniversary of his ordination in 2007, he was presented with a scroll signed by almost forty priests, each of whom owed his vocation, at least in part, to Fr Nesbitt's example. A schoolmaster, a parish priest, a youth leader, and a co-founder of the FAITH Movement, Fr Nesbitt is now (sort of) in retirement – but remains an active speaker and preacher at FAITH events, and the dynamic teacher he has always been. “It's a long story” he says, when I ask him to talk about the origins of the FAITH Movement. We are enjoying the warm hospitality of Mgr and Mrs Keith Newton, at the Rectory of the Ordinariate Church in central London, with a pot of tea in the large dining-room. In the church crypt – currently undergoing refurbishment – the popular Evenings of Faith attract good crowds, and Fr Roger has been among recent speakers. “I first met Fr Edward Holloway when I was at Imperial College – I was doing a degree in chemical engineering, and was secretary of the Catholic Society and he came to give a talk. He spoke about Teilhard de Chardin - with whom he disagreed - and I didn't really know what he was going on about. But I knew he had something of importance to say, and I wanted to know more. “I went to work for the Atomic Energy Authority for a year, and was returning to Imperial College in London to do a doctorate. But I thought 'What am I going to do with my life?' And I had the thought to talk to Fr Holloway. Studying at St John's Seminary, Wonersh, he read Holloway's early work Matter and Mind and visited him during the holidays. But meanwhile, dramatic things were happening in the Church and seminary life was powerfully affected. “When I arrived, it was 1961, just before Vatican II. There was a recognition of a need for change – the stuff we were being taught just didn't make sense and was unconvincing. There was a need for a new intellectual coherence”. “But then – there was this implosion, the dramatic questioning of everything: the whole seminary and its message seemed to be disintegrating. It was as though nothing could hold it together. I wrote to the Bishop, worried sick about what was happening. And so the FAITH Movement began: a magazine, initially called Kephas, meetings, talks, and a group of priests joining together to affirm essential truths. 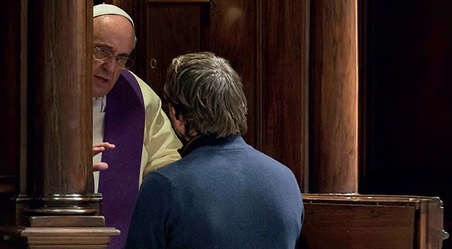 At first, the theme was not so much an emphasis on a new synthesis as simply a gathering together of priests who sought to be orthodox in their beliefs and loyal to the Church and the Magisterium. Then as things developed, the emphasis on the new synthesis emerged as central. The youth movement was founded in 1972, an essential inspiration from Fr Holloway with support from Canon George Telford, who was director of education in the Southwark diocese. The name was originally going to be “72” not because of the date, but because of the seventy-two who are sent out, as described in the Scriptures. But then some one came up with the name FAITH, and it stuck. 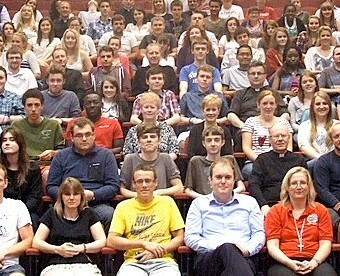 The first youth gathering was held at Herne Bay in Kent and attracted some 40 young people. The growth has been huge, and steady. The annual summer gathering grew to huge numbers and has proved so popular that a Winter Session was added a few years ago, plus a separate event - dubbed “Baby Faith” - for younger teenagers. Then there are Faith Family Days, retreats, local meetings, and a theology seminar – plus booklets, DVDs, the magazine, and more. The movement has fostered large numbers of vocations – and been instrumental in the foundation of Scotland's first new religious order, the Sisters of the Gospel of Life. 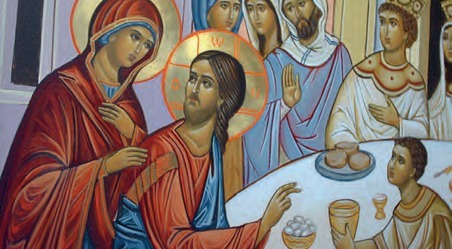 Fr Roger spent fourteen years at the John Fisher School – where a FAITH group still flourishes, thanks to Mr Daniel Cooper, meeting weekly in an unbroken tradition now going back 40 years – and was then appointed parish priest at Folkestone in Kent. He retired some three years ago but the town is still his home. Highlights down the years have included a meeting with Cardinal Jean Danielou in the 1970s - “an extremely holy human being” - and support from America's Cardinal John Wright, whose writings on the importance of angels became a popular Faith Pamphlet.